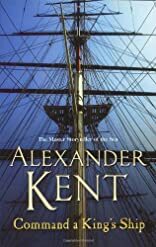 Command a Kings Ship was written by Alexander Kent. Command a Kings Ship was published by Berkley Publishing Group. About Alexander Kent (Author) : Alexander Kent is a published author. Some of the published credits of Alexander Kent include The Inshore Squadron, Command a King's Ship, Enemy in Sight.